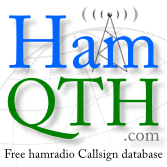 is it possible the data (qrg,mode,etc) from lin-hpsdr online sync to cqr-log?.. if so then how? I do not know lin-hpsdr but a quick google search leads to GitHub. The project purpose is a bit unclear (there is no description what that program does), but looking at source files it seems like it is emulating rigctl (not rigctld). If it supports TCP connection (defaults to port 4532) with rigctl(d) command set it can be used with cqrlog. If it just gives a terminal like , then no. But I saw one ham telling he has run wsjt-x with that when I was googling. That sounds like it could work. And uncheck "Run rigctld at program start"
Hard to say details as subject is not familiar for me.